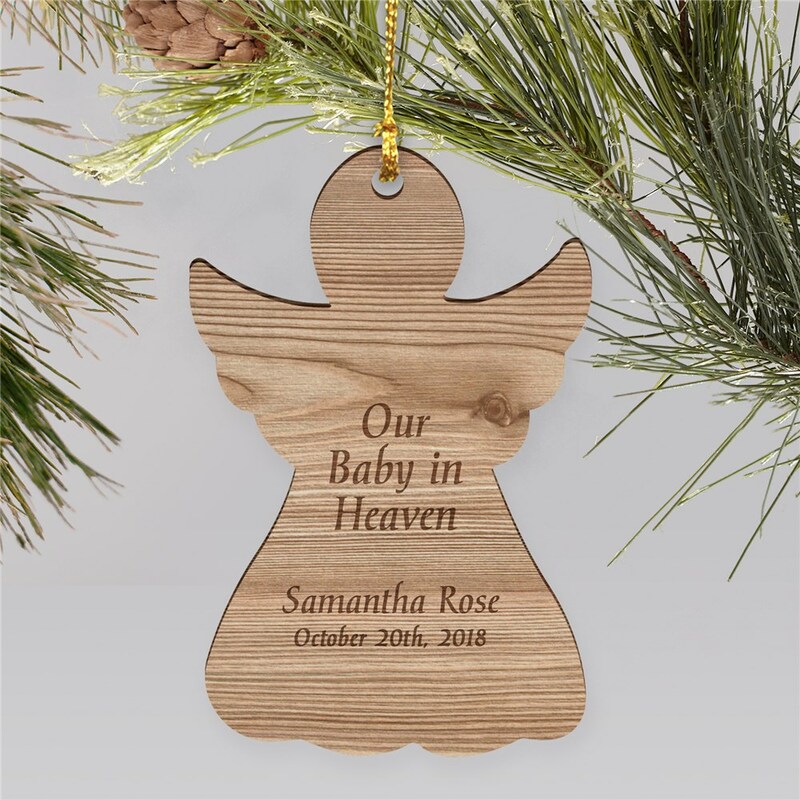 Remember your loving little one with warm memories by hanging our Baby In Heaven Engraved Memorial Ornament on your tree this Christmas. Personalize this wood ornament with your baby's name and their birth date. 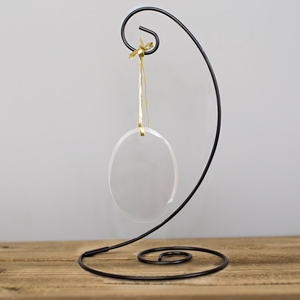 This ornament makes a truly special memorial gift to give comfort to grieving families in this tough time. Last January we had a baby the only lived for 5 hours, this year as we face the holiday season we are so happy to have little things to remember her by. This ornament is beautiful! We ordered one for all her Grandparents too. Additional Details GiftsForYouNow has a growing collection of Personalized Christmas Ornaments. 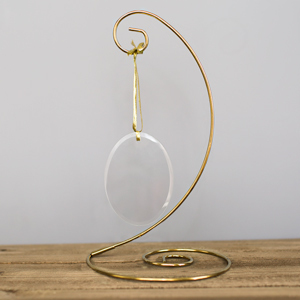 We are always finding new and unique Christmas ornaments that look great on your Christmas tree - check out our selection of Sports Ornaments and even Wedding and Engagement Christmas Ornaments! Shop GiftsForYouNow for all your Christmas Ornaments today.